This afternoon, HTC continued their translation of technical details for features from last year’s HTC One while also teasing the “All New HTC One” for a third time. The spot is as painful to watch as the previous two, but this time focuses on the UltraPixel camera from the original One. After diving through its ability to take shots in low-light situations, the on-screen duo goes into how the “All New HTC One” “has added” a…Well, we don’t know because everything is blurred out after that part. What we do know is that something has been added to the “All New HTC One” to make it seemingly better than last year’s model. 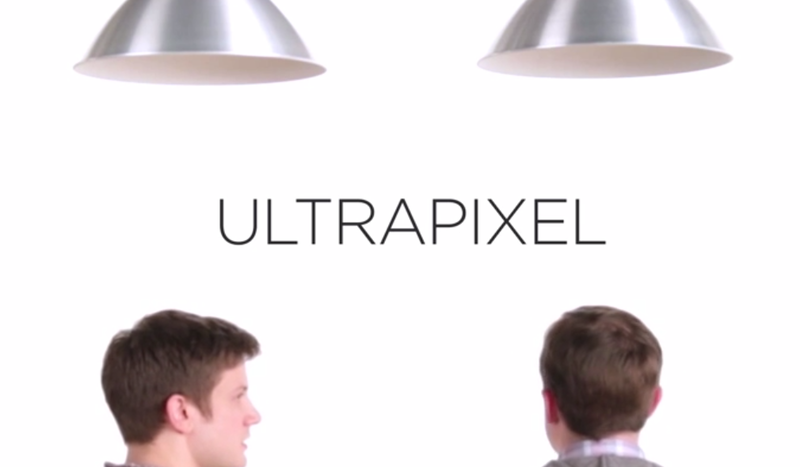 In other words, the UltraPixel is back, but with a new addition. We’re pretty sure that’s the secondary camera sensor that has been on display numerous times through leaks. Again, the spot blocks out all of those juicy details because it wants us to be surprised come March 25 when the phone is unveiled. I’ll just say this – if HTC puts their glorified 4MP camera in another phone, this second sensor better help it take the best mobile photos the world has ever seen. I’m not saying I need a 16MP camera in a smartphone, but at 4MP, we’re talking photos that still can’t be cropped or zoomed on without looking sh*tty. That’s just too small of a resolution for 2014. Hell, it was too small for 2013, 2012, and 2011.